The two teams were fairly even, facing each other from either side of the gym. A bunch of balls were lined up halfway between them. The players were poised to make their mad dash to the line of balls. Yep. 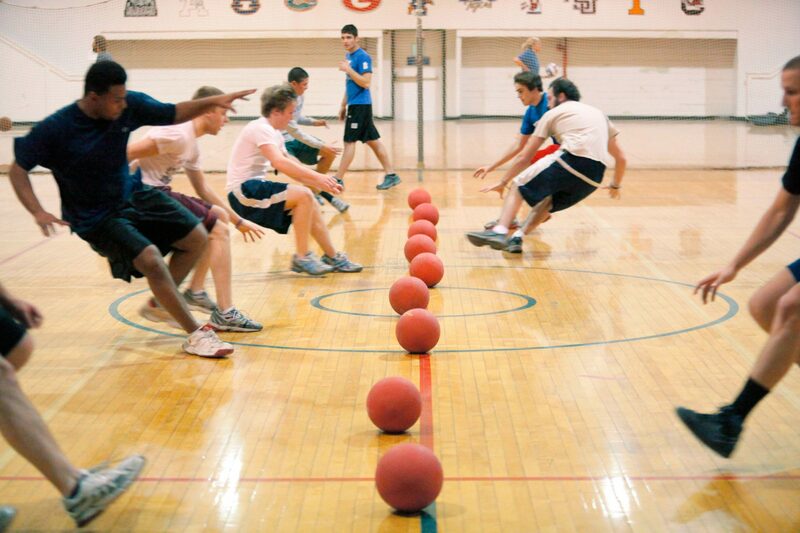 We were playing Dodgeball – a youth ministry favorite. And, instead of being the guy on the sidelines with the whistle, I was in full-combat mode as one of the players. During the course of one of our skirmishes, I was backpedalling away from a couple of opposing players who were winding up to take me out of the game. They threw simultaneously. I backpedalled furiously, and attempted to catch one of the balls. And tripped over my own feet. I hit the gym floor hard, with a loud grunt. My glasses were askew, and I was immediately aware that everyone had stopped playing and were staring at me. My team lost. And, my reputation might have dropped a notch or two in the minds of the teenagers. But, later in the evening when I started to give the Bible study “talk” to the group, they all paid attention to me instead of looking at their phones or whispering to each other. So, maybe my fall wasn’t so damaging after all. Until I got home, and the soreness along my spine and in my neck and shoulders made its presence felt, that is. You really can’t do youth ministry from the sidelines. If you want to have influence in young lives, you have to participate WITH them – not do things FOR, or TO, or AT them. So, I’ll deal with my soreness, since it’s a sign that I’ve been engaged with teenagers. I hope you get sore too!